In case you haven’t noticed, the headphones that come pre-bundled with your iPod, cellphone or any other music player leave a lot to be desired. 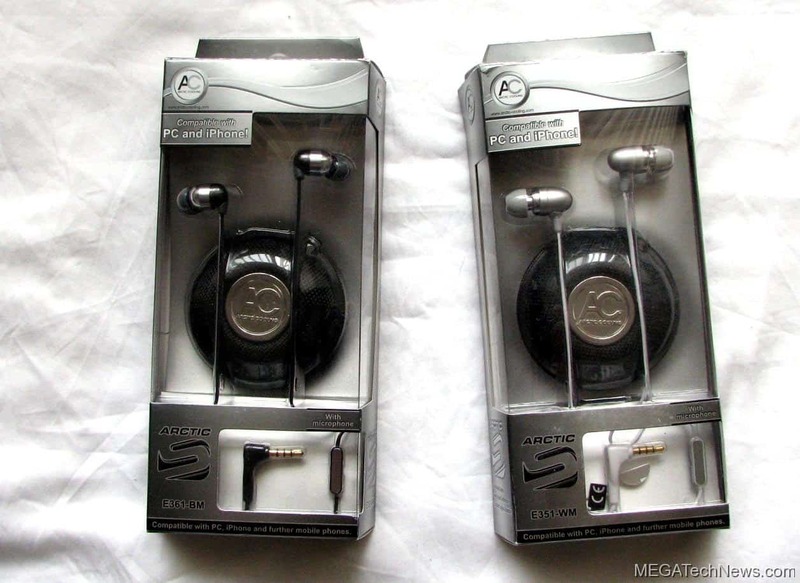 Thankfully, there are many different options out there for premium earphones and you don’t have to break the bank to get into this market. A couple of less expensive options come from Arctic Sound, an off-shoot from Arctic Cooling of Switzerland. While the company has traditionally been focused on PC cooling products, Arctic actually has some pretty nice earphones too. Today, we take a look at the Arctic Sound E351-WM and the E361-BM. Years ago, tradition would dictate that you use ear buds, but that has changed in recent years to the in-ear style afforded by earphones. These offer vastly superior sound isolation and better performance overall. 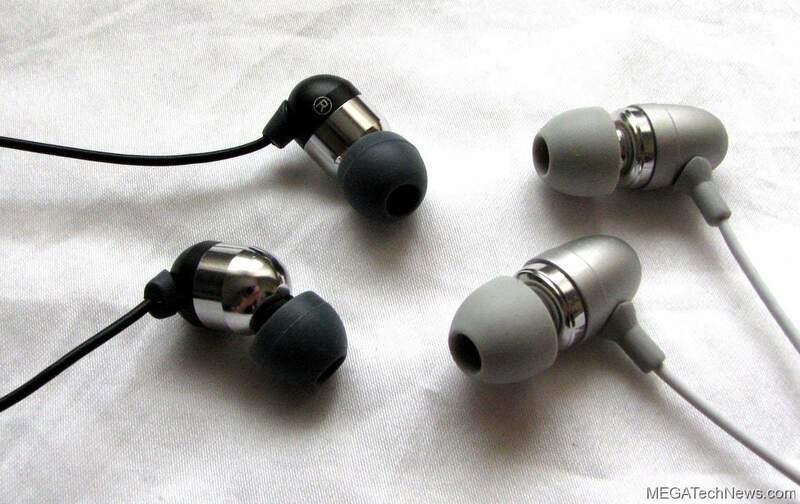 Both the Arctic Sound E351 and Arctic Sound E361 take on this newer style, but the latter has a bend in the earpiece. For reasons that are over my head, this is supposed to provide better sound quality and performance. In fact, they are quite similar in style and design to a headset reviewed earlier called the Radius Atomic Bass Earphones which we really liked for its price and performance and also has this funny bend in them. 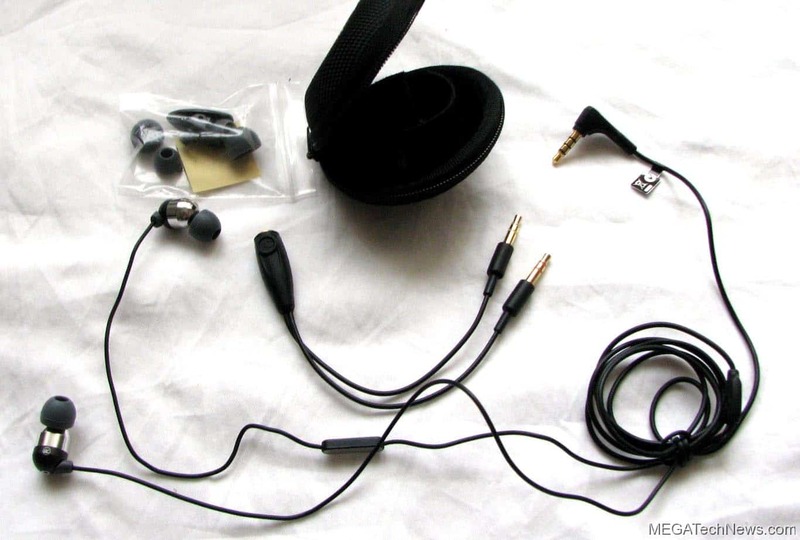 Both versions also come with an in-line microphone for use with smartphones, iPhone, and PC. For both units, you get a larger driver coil for “ultimate bass performance,” a precisely milled aluminum chassis, three sets of silicone caps, and a gold-plated stereo plug. 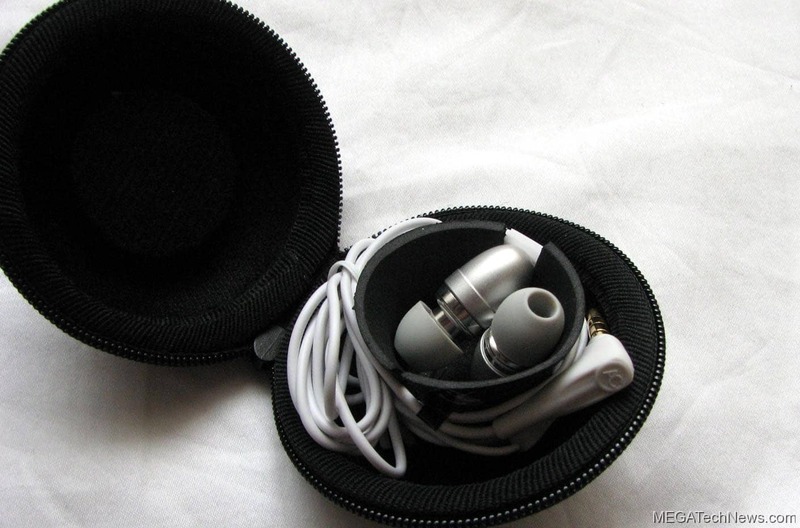 Inside the box, you get the earphones themselves, a PC adapter, and a carrying case. By and large, the specs and features of the two Arctic Sound earphones are much the same, but there are a couple of notable differences. For starters, we’re looking at the E351-WM (which is white) and the E361-BM (which is black). The color scheme is simply a matter of personal preference as they both come in the same color choices. The more notable difference is in the style of the earpiece. With the E351, you get a “straight” style driver that puts the earpiece straight into your ear. According to the chart on the back of the box, this should provide heavier bass, but I didn’t really find that to be true, even after proper break in procedures were carried out to loosen up the drivers by playing music constantly through them for a few hours at moderate volumes. With the E361, you get that bent angle in the earpiece. I found this to provide a more comfortable fit and it was less likely to pop out of my ear just like the aforementioned Atomic Bass Earphones. The overall sound clarity appeared to be slightly better than the E351 as well, in my opinion. I tend to listen to a lot of bass heavy music so I know when the bottom end is not bottoming. As mentioned, both units have an in-line microphone with a clickable button. This can be used as a handsfree headset with your iPhone right out of the box or, if you buy the optional 2.5mm adapter cable for $4.95, with other smartphones (Nokia, etc.) as well. While I would have appreciated the inclusion of the 2.5mm adapter cable for my Nokia E71, it is nice that Arctic Sound included a different adapter cable in the box of both the E351 and E361. This attachment is the PC splitter cable. 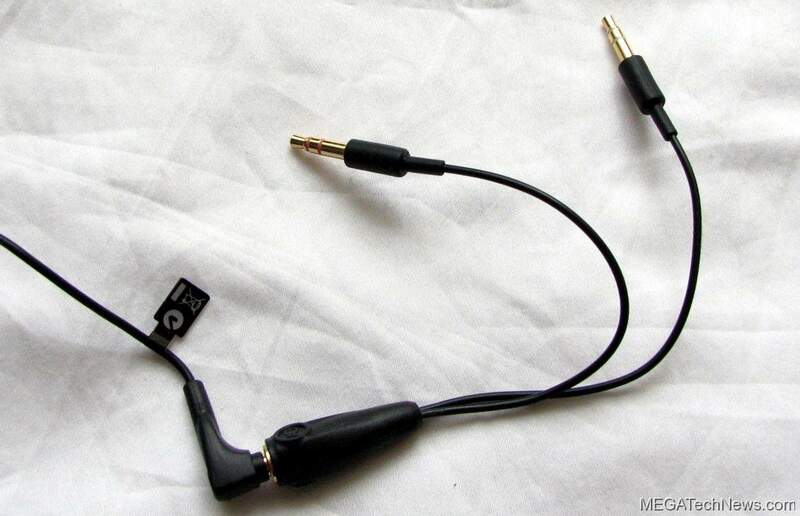 As you know, most computers have separate 3.5mm jacks for the headphones and microphone. By using this adapter cable, you can “split” the cable from the headset and use it to chat on MSN, Skype, or whatever other purpose you may have for it. This is a very handy addition. MegaTechie Fantastic or MegaTechie Flop? It’s easy to turn to a bigger name in the headphone industry when you want some premium earphones, but that doesn’t mean that you should discount lesser-known brands like Arctic Sound from Arctic Cooling. In fact, these two headsets offer a stellar value. I tried using both sets through a variety of musical situations, ranging from Paramore to Coldplay, Lil Wayne to Metallica, and I was generally pleased. The bass hits very hard, though the mid-range was a little lacking in some rock songs. Voice quality through the microphone is decent for calls, but you may sound a little distant to the person on the other end of the line. Par course for most headsets of course. I prefer the “bent” style of the Arctic Sound E361-BM ($51.45) over the “straight” style of the E351-WM ($42.20), but the former is ten bucks more. Even so, that’s still cheaper than many of the $100+ earphones out there and they don’t even have mics or PC cables. Definitely a MegaTechie Great Value!